1-William Airey was born in 1766 in Blackburn, Lancashire, England. William married Margaret Peggy Bailey. Margaret was born in 1780 in Blackburn, Lancashire, England and died in 1844 in Blackburn, Lancashire, England at age 64. They had a son: Robert. 2-Robert Airey was born on 29 Dec 1798 in Blackburn, Lancashire, England and died on 30 May 1872 in Burnley, Lancashire, England at age 73. Robert married Rebecca Holland, daughter of Richard Holland and Elizabeth Bailey. They had a son: Allen. 3-↑Allen Airey was born on 25 Feb 1833 in Burnley, Lancashire, England, died on 18 Jul 1921 in Launceston at age 88, and was buried on 19 Jul 1921 in Carr Villa Cemetery, Launceston, Tasmania. Allen was convicted at the Preston General Sessions on 4th December 1846 and sentenced to 7 years. Departed from Plymouth on board the Blenheim on 10 April 1850 and arrived in Van Diemen’s Land on 24 July 1850. Allen Airey was committed to appear at the Lancaster (Preston) General Sessions on 4 Dec 1846 accused of stealing knives. Aged 13, he had been employed as a factory boy and was found guilty and sentenced to 7 years transportation. He was initially received at Millbank Prison and on 13 Feb 1847, transferred to Parkhurst Prison, where his Gaoler's Report noted that he had been before convicted "Once theft", was single and could read and write imperfectly. He was discharged from Parkhurst Prison on 01 Apr 850 in readiness for transportation to Van Diemen's Land and sailed from Plymouth aboard the Blenheim" as a Ticket of Leave prisoner. The Blenheim left on 10 Apr 850, disembarking at Hobart Town on 24 Ju1 1850. 30 Jul 1850: Prisoners' Barracks Hobart. 11 Sep 1850: Transferred to the Depot Launceston. 07 Nov 1850: Officially granted his Ticket of Leave. 13 Jan 1851: Morven: Neglect of duty: Reprimanded. 12 Apr 1851: Morven: Misconduct in not attending at the Police Office when ordered: Three months imprisonment and hard labour at Launceston. 29 Dec 1853: Longford: Certificate of Freedom. Allen married Bridget Amelia Nowlan, daughter of James Nowlan and Catherine Kelly. Bridget was born in 1833 in Wexford, Ireland, died on 29 Jul 1907 in Launceston at age 74, and was buried on 31 Jul 1907 in Carr Villa Cemetery, Launceston, Tasmania. They had seven children: Rebecca, Robert, Thomas Allen, Amelia, Emanuel Henry, Richard and John Holland. 4-Rebecca Airey was born on 29 Dec 1855 in Westbury, Tasmania and died on 7 Aug 1924 in Belle Vue, Lower Barrington at age 68. Rebecca married John Cocker, son of John Cocker and Sarah Elizabeth Briggs, on 25 Jun 1877 in Evandale, Tasmania. John was born on 22 May 1846 in Black Brush, Brighton, died on 30 Dec 1930 in Belle Vue, Lower Barrington at age 84, and was buried on 2 Jan 1930 in Barrington, Tasmania. They had ten children: Julia Maud, Edwin Allen (Tas), Amelia Adeline, Ada Mary, Annie Louisa, Herbert John, Clarence Louis (Trick), Amy Emmeline, Amanda May and Amenia Helena (Minna). 4-Robert Airey was born on 28 Dec 1856 in Westbury, Tasmania. Robert married Sarah Rusden, daughter of John Rusden and Mary Ann Buckley, on 22 Feb 1890 in Launceston, Tasmania. Sarah was born on 25 Feb 1859 in Launceston, Tasmania. They had five children: Ruby May, Robert Allen, William Robert John, Tasman Thomas and Robert John. 5-Ruby May Airey was born on 10 May 1890 in Launceston, Tasmania. 5-Robert Allen Airey was born on 22 Jun 1892 in Launceston, Tasmania and died on 23 Jun 1892 in Launceston, Tasmania. 5-William Robert John Airey† was born on 5 Sep 1893 in Launceston, Tasmania. 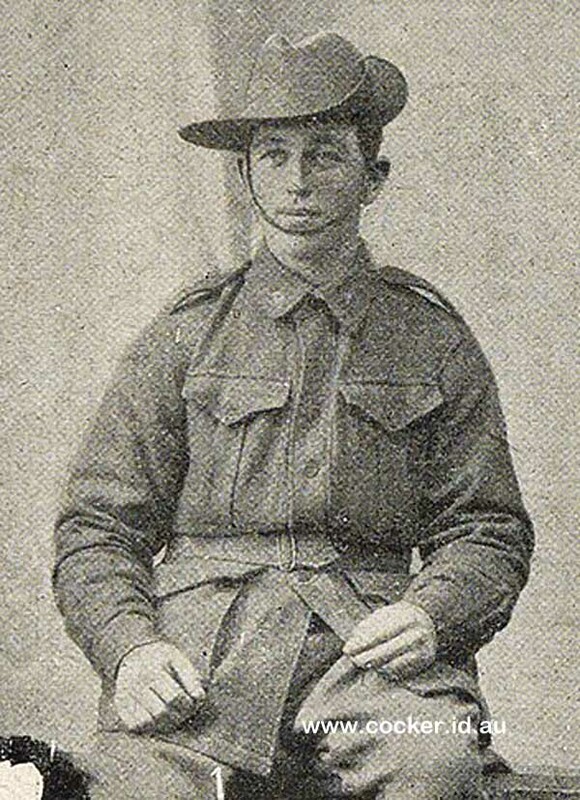 He served in the First World War and died on 19 Aug 1916 in Mouquet Farm, Pozieres, France at age 22. 5-Tasman Thomas Airey was born on 19 Dec 1895 in Launceston, Tasmania. He served in the First World war. 5-Robert John Airey was born on 15 Jun 1898 in Launceston, Tasmania. He served in the First World War. 4-Thomas Allen Airey was born on 8 Dec 1860 in Westbury, Tasmania and died on 4 May 1886 in Launceston at age 25. Thomas married Sarah Elizabeth Carey on 9 May 1881 in Launceston. Sarah was born in 1860. They had five children: Florence Rebecca, Walter Allen, Thomas Allen, Elsie May and Walter Lawrence. 5-Florence Rebecca Airey was born on 15 Jun 1882 in Launceston, Tasmania. 5-Walter Allen Airey was born on 18 Aug 1883 in Launceston and died on 5 Mar 1884 in Launceston, Tasmania. 5-Thomas Allen Airey was born on 1 Aug 1884 in Launceston, Tasmania. 5-Elsie May Airey was born on 23 Mar 1886 in Launceston. 5-Walter Lawrence Airey was born on 25 Jan 1889 in Launceston, Tasmania. 4-Amelia Airey was born on 10 Dec 1862 in Westbury, Tasmania. Amelia married William Hollingsworth, son of Frederick Hollingsworth and Mary Ann Elliott, on 16 Dec 1887 in Launceston. William was born on 17 Nov 1850 in Launceston, Tasmania and died in 1902 in Launceston at age 52. 4-Emanuel Henry Airey was born on 20 Jan 1865 in Westbury, Tasmania and died on 4 May 1886 in Launceston, Tasmania at age 21. Emanuel married Emma Carey. They had two children: John Holland and Claude. 5-John Holland Airey was born on 15 Oct 1895 in Launceston and died on 31 Dec 1895 in Launceston. Another name for John was Jack. 5-Claude Airey was born on 22 Dec 1898 in Launceston, Tasmania and died on 15 Jun 1899 in Launceston, Tasmania. 4-Richard Airey was born on 7 Jun 1867 in Westbury, Tasmania. Richard married Mary Ann Cute, daughter of convict ↑Matthew Cute and Maryann Nixon, on 24 Mar 1897 in Launceston, Tasmania. Mary was born on 28 Jun 1873 in Launceston, Tasmania and died on 6 Apr 1955 in Penguin, Tasmania at age 81. 4-John Holland Airey was born on 7 Sep 1869 in Westbury, Tasmania and died on 22 Mar 1907 in Portland Street, Launceston at age 37. Another name for John was Hollie. John married Emily Isabella Crowder, daughter of Thomas Restell Crowder and Amelia Ann Beaumont. Emily was born on 3 Dec 1849 in Pittwater, Hobart, Tasmania and died on 10 Nov 1949 at age 99. They had three children: Stanley John, Leila May and Hedley Jack. 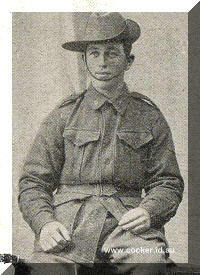 5-Stanley John Airey was born in 1898 in Perth, Western Australia and died in 1641 in Heidelberg, Victoria at age -257. 5-Leila May Airey was born in 1899 in Perth, Western Australia and died on 24 Nov 1971 in Victoria at age 72. 5-Hedley Jack Airey was born on 19 Dec 1900 and died on 12 Oct 1984 in Victoria at age 83. Hedley married Leila Mary Boak.